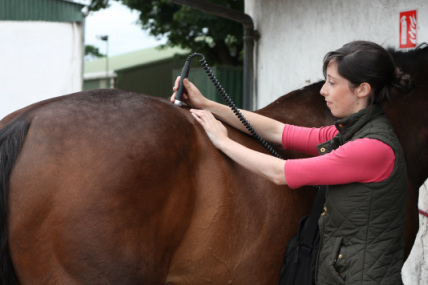 Long wave therapeutic ultrasound is used to treat muscle spasm and tendon injury in both horses and dogs. A small amount of gel is applied to the animal who doesn't experience any sensation from the treatment. Long wave ultrasound allows deep tissues, that cannot be reached by manual techniques to be treated. Long wave ultrasound has also been shown to improve the quality of tendon and ligament healing. Phototherapy uses low level lasers to treat different tissues. Red light is used before the treatment as it triggers the release of seratonin which helps the animal to relax. It also prepares the muscles for massage. Blue light is used over wounds to reduce the risk of infection, prevent the formation of proud flesh and accelerate healing. Pulsed Electromagnetic Field Therapy can be used on both horses and dogs to reduce inflammation, improve joint health and nourish muscles. It can also be used in the treatment of non- union fractures and tendon damage. 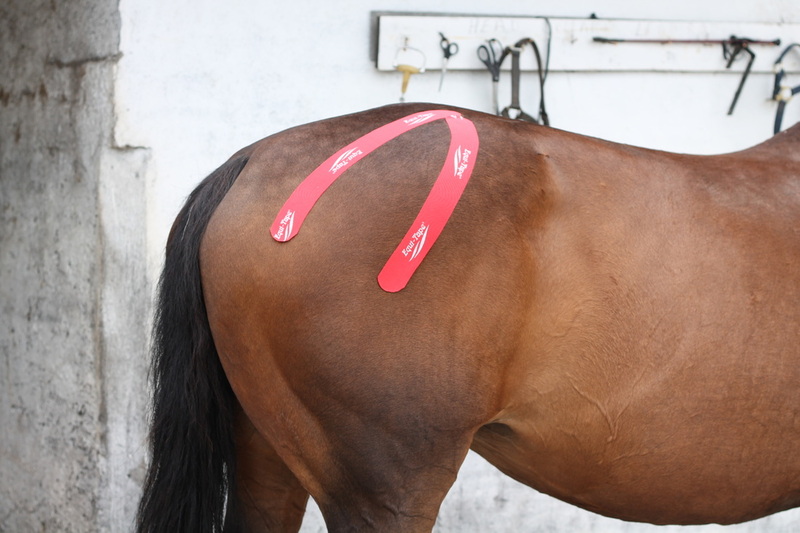 Equi-tape is specialised kinesio tape designed for horses and short haired dogs. It can be used to limit the use of injured muscles and tendons to allow a safe return to exercise. However, when applied differently it can also enhance muscle use and increase proprioception. This allows us to target certain muscle groups to increase strength. It is an invaluable tool when rehabilitating animals with sacro iliac strain, tendon injuries, cruciate issues and muscle tears. A variety of equipment may be used or suggested during rehabilitation. 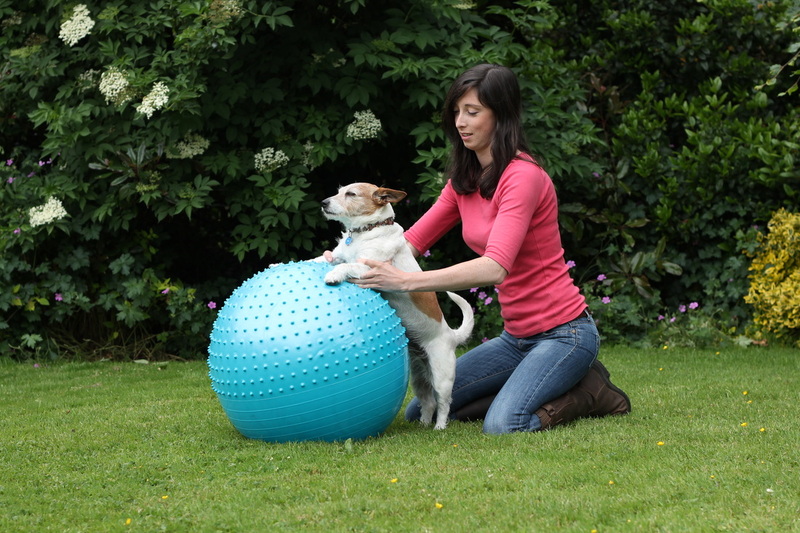 This ranges from balance balls and wobble boards for dogs, to cavaletti poles and therabands for horses.